Developing a strong Indigenous defence industry has been a sharp focus for Australia since the release of the 2016 Defence White Paper, and a BAE Systems (BAES) Australia heavyweight has declared it is fundamental to Australia’s sovereign capabilities and economic growth. Delivering a keynote address in Canberra, head of business strategy for BAES Australia Brad Yelland identified the key reasons why Australia must focus on its defence industry and why the Defence Industry Policy is crucial in achieving this. 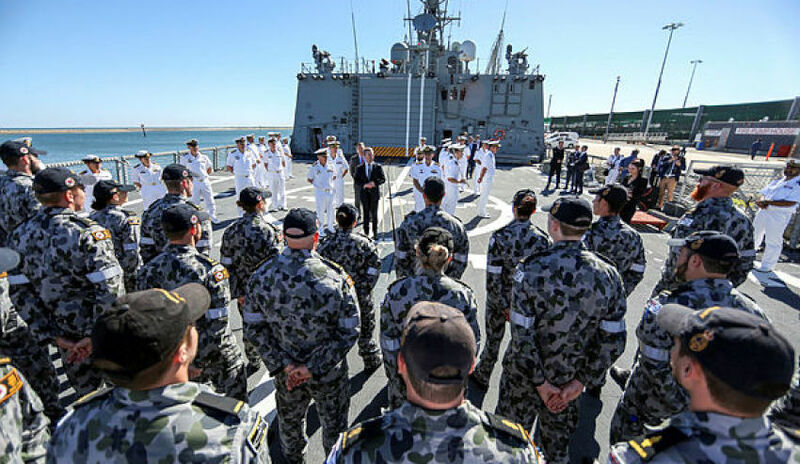 "The Defence Industry Policy clearly identifies the defence need to have a strong Indigenous defence industry, characterised by identifying defence industry as a Fundamental Input to Capability (FIC)," Yelland said. "This signals that, over time, Defence will trend towards acquiring capability rather than the supply of material or equipment. In theory this results in a change to the traditional boundary between Defence and industry, as industry take on more responsibility to deliver capability outcomes. "But there are other reasons to focus on strengthening the Australian defence industry. The new approach to defence innovation by the Commonwealth government is absolutely vital, not just because it is critical to maintaining Australia’s ability to continue providing leading edge defence capabilities, and for ensuring sovereign control over those technologies and capabilities, but it is also vital for economic purposes, as Australia seeks to transition from a resource-led to a technology-led economy." Yelland stressed that Australia will face difficulties in competing against developing countries in the production market, citing a lack of "price competitiveness". "Having a strong engineering and manufacturing industry is good for any economy, particularly if that industry creates exports as well as servicing national needs. But for developed countries like Australia, competing in the high volume production markets against developing countries is difficult," he said. "Having a high standard of living is something we enjoy, but we pay for it with our lack of price competitiveness in some areas." Yelland did, however, suggest that Australia's highly skilled workforce is part of the solution to competing, and winning, in the high volume defence production market. "One way to combat this lack of price competitiveness is through leveraging our high skill base. It is therefore important that we, Australia, focus on industries that demand a highly skilled workforce. That is where we get the competitive advantage," he said.